Happy Diwali everyone… For me Diwali is all about wearing new outfits, eating lots of sweets, meeting and greeting people. I am avoiding crackers completely, as I don’t like the idea of contributing to air pollution and noise pollution. Coming to my today’s post, I faced a wardrobe crisis when I was planning for my Diwali outfits. I hardly wear Indian dresses so didn’t had any. And I also didn’t wanted to spend much on dress which I would not wear again. So thought of renting it from Flyrobe. It is a fashion rental app which provides variety of clothes which can be rented for few days with minimal rent. 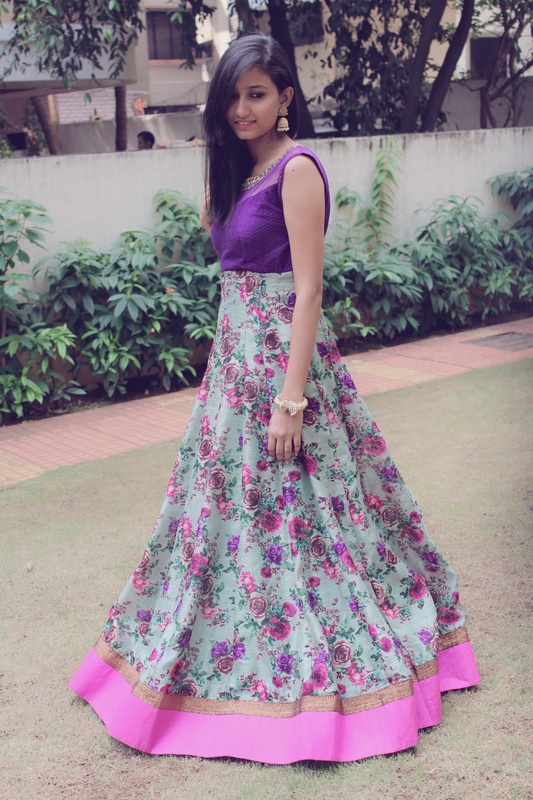 I picked a anarkali dress with floral print. Long length and flare of the dress made me look taller, which I absolutely loved. My outfit looked more pretty when I gave it a touch of gold with my accessories. I have a special love for jhumkas when it comes to earings, and it also gave a very elegant look to my outfit. Flyrobe turned out to be my saviour this Diwali. Let me know your suggestions about my look in the comments below. 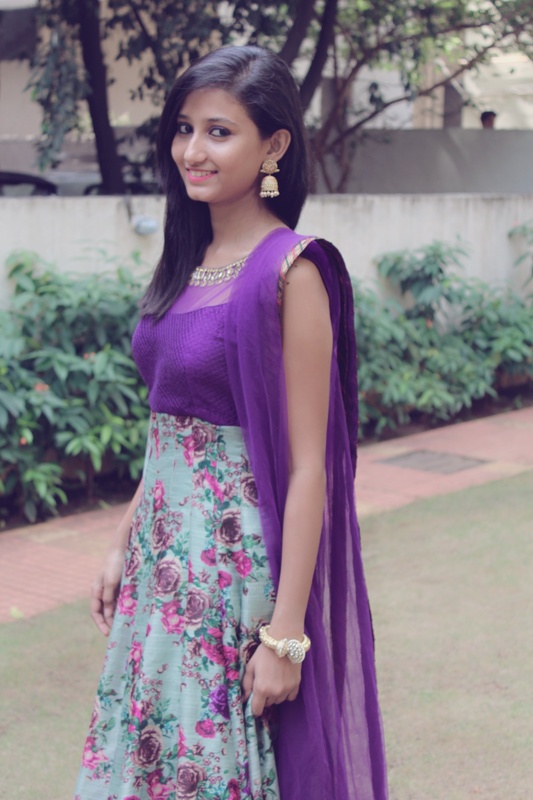 Looking pretty in traditional outfit……..HappyDiwali….. Looking pretty in traditional outfit….. Happy Diwali….. Looking beautiful in Indian attire….